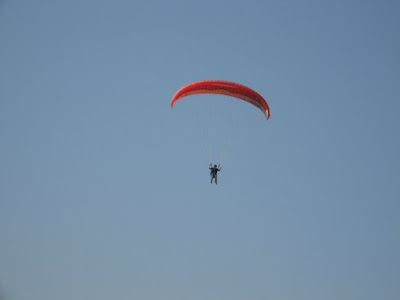 I went paragliding again last week, to finish my Elementary Pilot course. 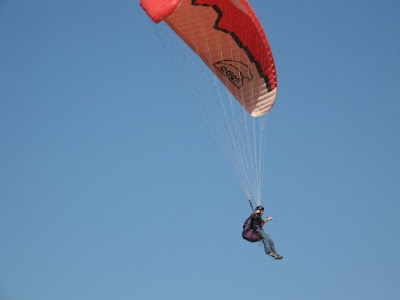 I had my first solo flight from a height of 45m on 24th Dec 2008. It was an exhilarating feeling, although short. After 3 days of solo top to bottoms, I now have 15 min of total air time. I'll put up the pictures soon. 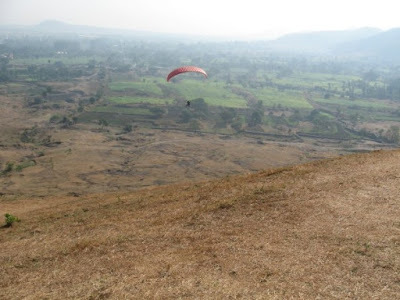 The sight is Shinde Wadi, around 125km from Mumbai. I also had great fun at the Native Place, home to Nirvana Adventures. Hoping to go back in May and make progress towards Club Pilot.